The University of Wisconsin Law School boasts a tradition of excellence that dates back 150 years. 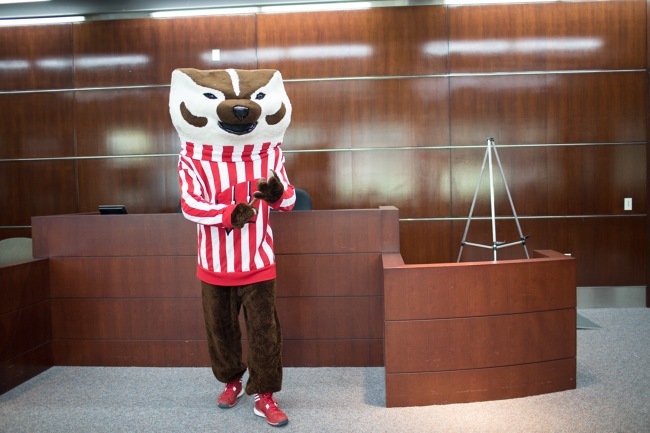 It is our hope that through this online tour, we can highlight a few of the reasons that Wisconsin is a special place to study law, including our beautiful building, lovely campus, and award-winning city. 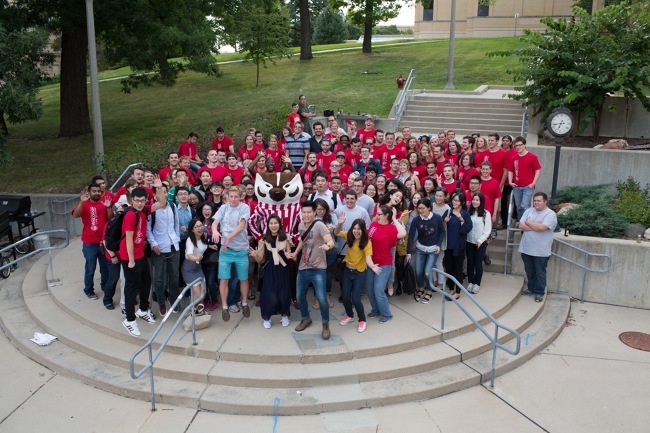 However, the University of Wisconsin Law School is more than just a top law school in a beautiful location. It is a special place because of our outstanding alumni and faculty who have made, and continue to make, significant, often landmark, contributions to legal education, the practice of law, and society. 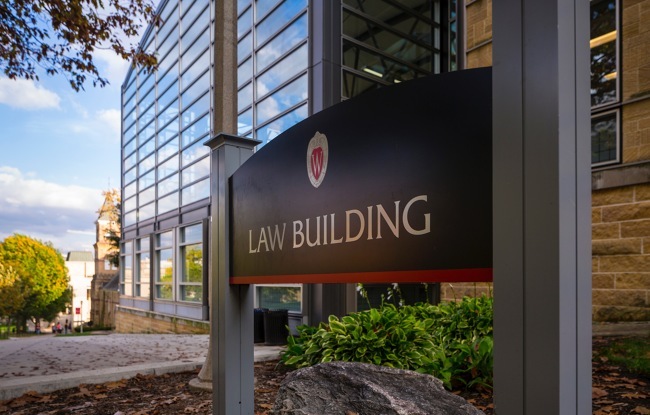 Throughout its history, the University of Wisconsin Law School has occupied a special and important place in U.S. legal education. Like the world-class university of which it is a part, the UW Law School has historically been ranked among the nation's preeminent schools. The Law School sits prominently on Bascom Hill at the heart of the University of Wisconsin campus. The building's wall of windows along Bascom Hill offers beautiful views of the campus and the city and is a striking contemporary statement among the hill's 19th century buildings. 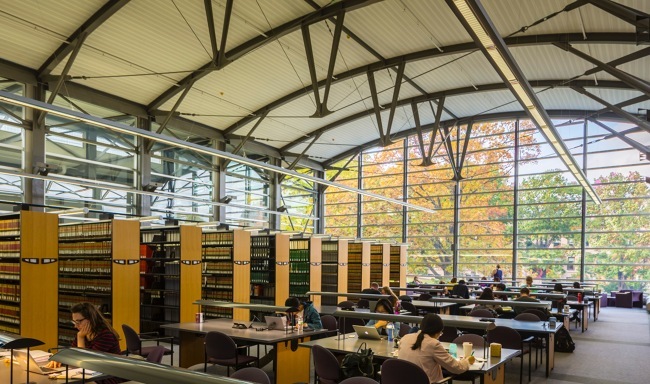 The UW Law School's central location makes it easy for law students to take advantage of the social, cultural, and educational resources of the University. 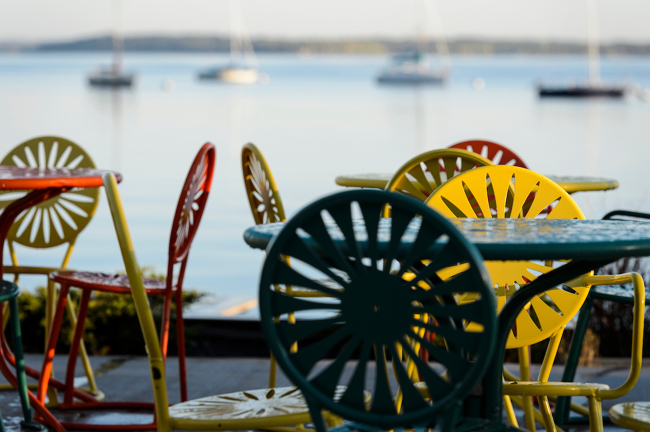 The Law School is just minutes from the Memorial Union, a focal point of campus social life, on the shore of Lake Mendota. The Union offers food, music, lectures, and theater – all in a beautiful setting. The Library Mall, the State Historical Society, the Chazen Museum of Art, Music Hall, and many other interesting resources are within minutes of the Law School. For students interested in interdisciplinary programs, the School of Business, Education, Social Work, and many of the University's other schools and colleges are within a short walk from the Law School. The School's proximity to the State Capitol, legislature, administrative agencies, law firms, nonprofit organizations, and the state and federal courts is of great significance for the Law School's faculty and students. It is in these places, and in the Law School's many clinical programs, that students see the law in action. 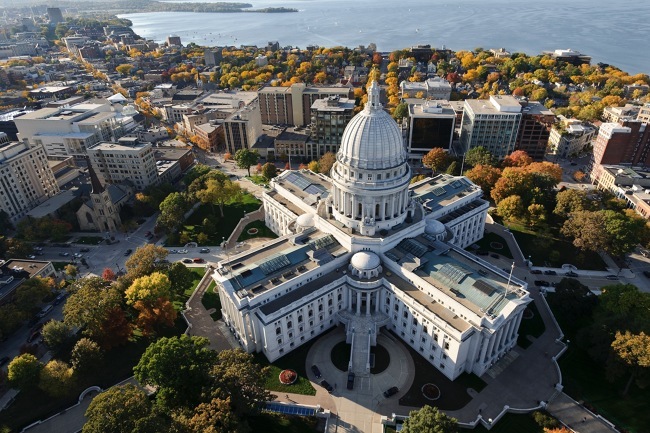 Students move easily between the Law School and the many opportunities, resources, and jobs in downtown Madison, the state capital. 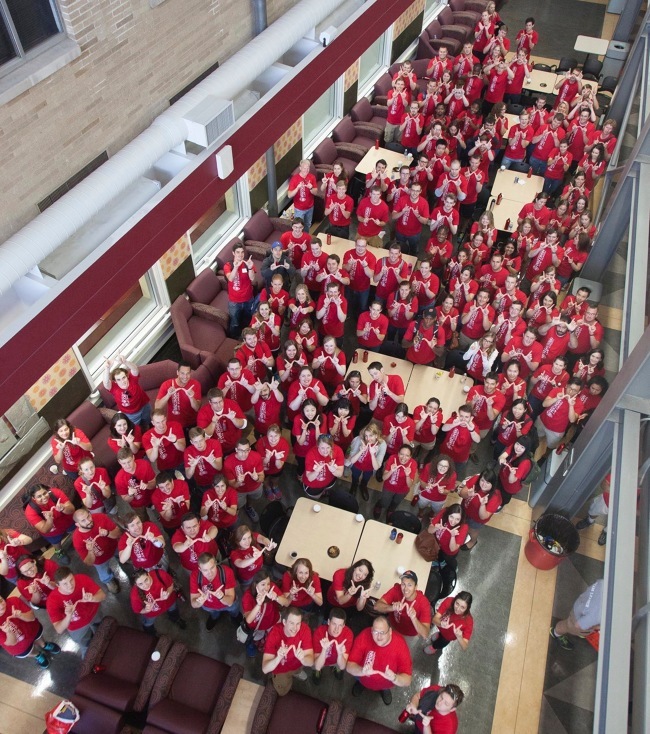 The Wisconsin Law Alumni Association Student Commons, known as the Atrium, is the core of the Law School. It is a place for students to relax between classes, study, have coffee, eat lunch, and meet informally with classmates and faculty. The Atrium is also the center for social events, such as Student Bar Association functions and many other activities. The Atrium was originally an outside courtyard between two older parts of the Law School building. In 1996, the Law School completed a three-year construction and renovation project that included the four-story glass Atrium with its exposed steel beams and original outside brick wall. The addition and renovation project increased the Law School's size to 138,000 square feet, up from 93,000 square feet, including 21,000 square feet of remodeled existing space. Recognizing the Law School's unique and challenging new design, the American Institute of Architects' Wisconsin chapter presented its highest award to the School for its addition and renovation. Jurors gave the building project high marks for the way the modern design complements the 150 years of architecture on historic Bascom Hill. On the ground floor of the Law School, directly outside the doors to the Atrium, is the Roger Boerner Plaza. The Plaza welcomes visitors who enter the Law School from the south side. It provides an excellent outdoor extension for the Atrium and serves as a patio for student and alumni activities in the fall and spring. Barbecues, brunches and Student Bar Association gatherings all take place in the Plaza. 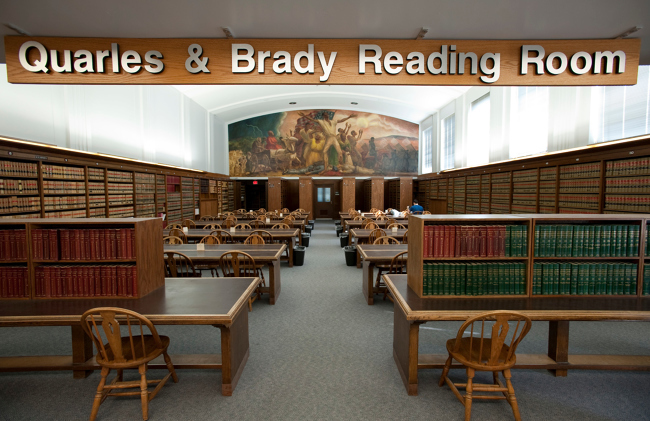 Located on the east wing of the fifth floor, the Quarles & Brady Reading Room houses many of the library's federal materials. This room, which initially served as the library's main reading room, still maintains much of its original design. The Habush Habush & Rottier Reading Room, on the fifth floor of the Law School's library, is one of the most impressive spaces on the UW campus, and one of the most popular places to study. 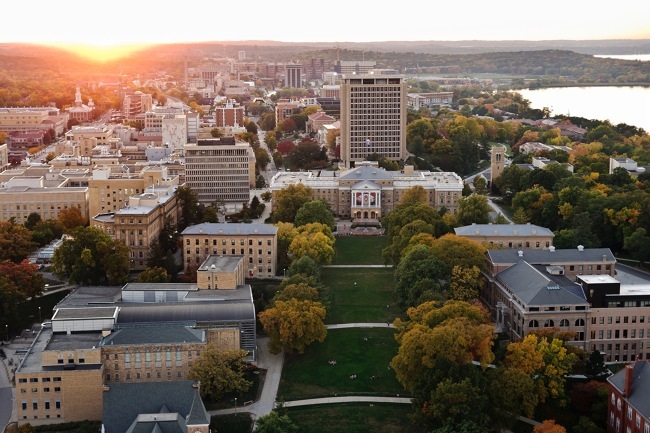 The room has picturesque views of Bascom Hill and frames the Wisconsin State Capitol at the end of State Street. Its towering glass windows connect library users with the out-of-doors and bring wonderful light into the room throughout the day. The room, which has well-designed study areas and comfortable recreational seating areas, offers a wide variety of newspapers and magazines and also houses the library's reference collection. 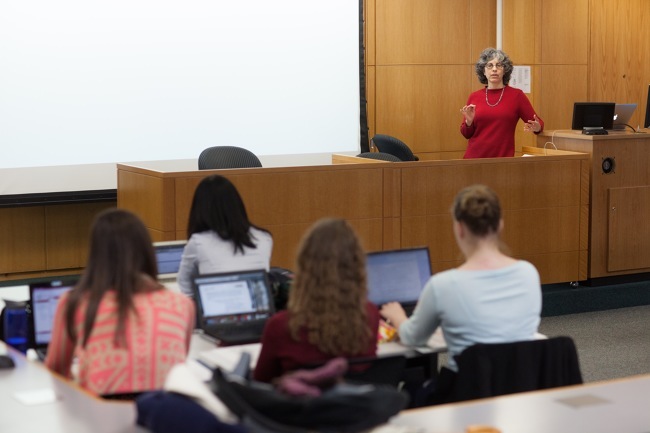 Most of the UW Law School's classrooms are small, to accommodate the first-year small section program and the numerous opportunities for specialized and seminar-style courses in the second and third years. Godfrey & Kahn Hall (2260) is the largest classroom in the Law School. It seats approximately 150 and has integrated high-tech media equipment. The room's gently tiered seating style and semi-circular shape give it an intimate feel and make it conducive to class discussions despite its size. Godfrey & Kahn Hall is located directly off the Student Commons (the Atrium) and as a result, this is an excellent venue for the Law School's special lectures, including the Thomas E. Fairchild Lecture and the Robert W. Kastenmeier Lecture, attended by alumni and state leaders. Chief Justice William Rehnquist, Justice John Paul Stevens, Justice Sandra Day O'Connor, and Justice Antonin Scalia of the Supreme Court of the United States and Chief Justice Shirley Abrahamson of the Wisconsin Supreme Court are among the distinguished lecturers from the bench, bar, and academia who have given presentations to the students, faculty, and alumni of the Law School. Located next to the Atrium, Michael Best & Friedrich Hall is a high-tech classroom with built-in media equipment. The room's gently tiered seating provides space for approximately 70 students, with comfortable seating and adequate space for laptop computers. Like Godfrey & Kahn Hall, it features a design that gives the classroom an intimate feel and makes it conducive to class discussions. The Appellate Courtroom (3250) is a multi-purpose space that serves both as a regular classroom and as an appellate courtroom. With a large front bench area and gently tiered seating, the room is a comfortable classroom for about 50 students. It provides a realistic setting for moot court, oral and appellate arguments. The Foley & Lardner Trial Courtroom (3260) is a beautiful classroom with large windows looking out over Bascom Hill. The back half of the room is set up as a teaching courtroom, with the capability of hosting a real trial. The room includes a full complement of audio-visual equipment including three fixed cameras and a digital projector for play back. It allows instructors to tape and replay student performances and is an excellent teaching tool for trial advocacy and mock trial competitions. The Career Services Office (3221) is located near the Bascom Hill entry to the Law School. The professional staff, including five lawyers, provides individual counseling about job opportunities, career options, summer employment, and judicial clerkships. It is a central resource for students who are looking for help with their résumés, cover letters, or interviewing skills and has a library with information on a variety of topics. Students can utilize myriad resources including legal directories, employer descriptions, computers, fax machine, copy machine, and long distance phones. Several offices as well as a number of small conference rooms are located within the Career Services Office and are used by employers who are conducting interviews at the Law School. The Sheldon Lubar Faculty Commons (7200) is one of the most used rooms in the Law School. It is a gathering place for faculty and is used for meetings, receptions, and lectures throughout the day and evening. The Commons has a wall of windows looking out on Bascom Hill, and it also overlooks the Law Library's Habush Habush & Rottier Reading Room, with a wonderful view of the State Capitol. The room is designed with the flexibility to serve 75 people for a sit-down dinner or to seat a large group lecture-style. 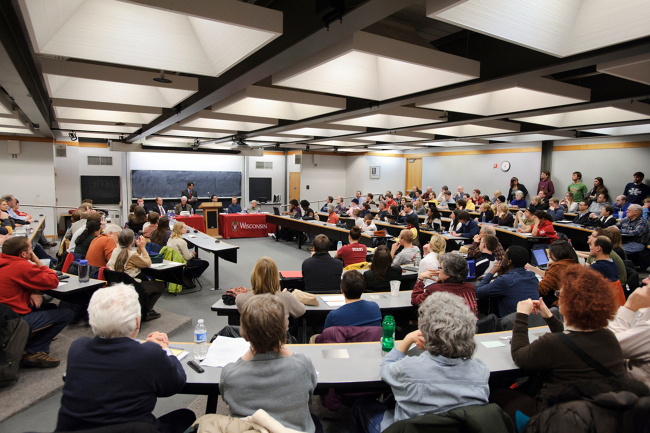 Most often, however, it is used for smaller groups, including the many speakers who are invited to give lectures over the noon hour, bringing exciting and timely topics to the Law School community.